Let's talk about Just Jen. Just Jen is a custom T-shirt store that allows you to design your own shirt by style, color, writing and rhinestones. You can even have custom hoodies and sweat pants to say whatever your heart desires. Of course, being the creative being that I am, I decided that I wanted to customize my own T-shirt. Shirt styles range from tank top and polo to fitted shirts. I chose a cotton spandex long-sleeve in black. The next step is creating the design where you can choose the saying you want, the text style and the rhinestone color. For my shirt, I added text on both the front and the back and decided to go with this: "I Blog, Therefore I Am" is written on the front and my blog URL is on the back. 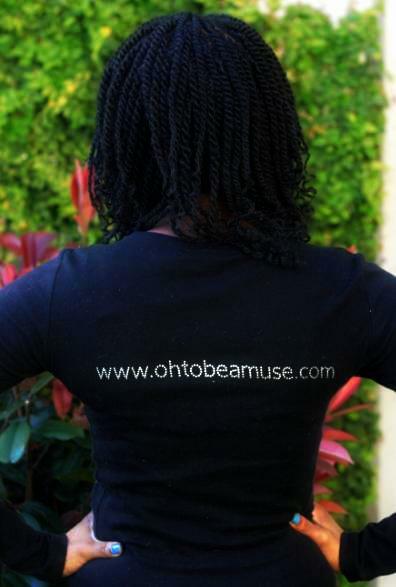 So visit Just Jen and customize your own blog shirt or anything that your heart desires. It would definitely make for a great gift or a great way to show your blog love. Here is a list of a few coupon codes that you can use toward the site! This is a sponsored post but the opinions are my own. I need one like yours! Oh I want to have my t-shirt too!! Customized t-shirts are always fun, yours turned out great! Loving this idea, so cute and would make a really great gift for a bride-to-be or mum-to-be. Your personally designed tee is adorable! Such a cool shirt. If I could get one for each of my family members for my blog. How adorable is that blogger shirt you did! Love it:) And Happy Easter to you too, my dear! 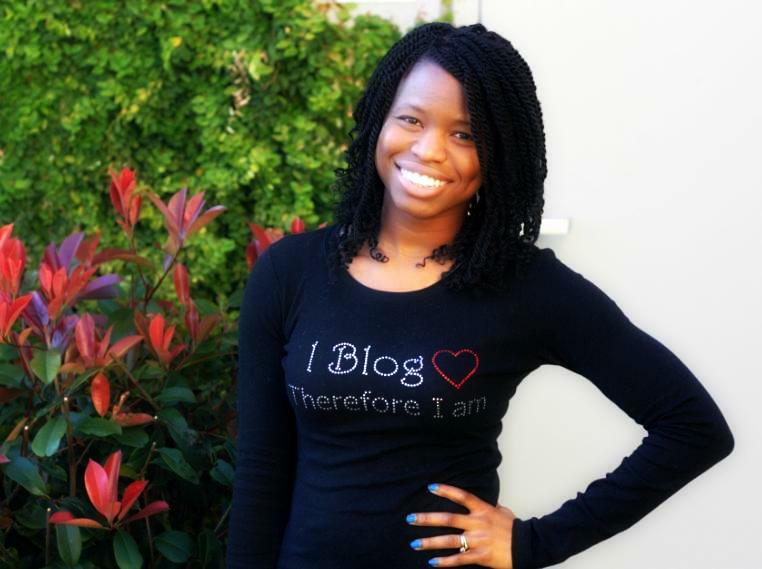 Love the blogger top and I absolutely love your smile! love that shirt, i want! Great pictures and lovely style. How fun! I would love to make my own shirt for the blog!! :) very cute! and i love ur hair! Pretty COOL! always wanted my own words on a shirt. yours rock! what cute shirts! such a fun idea! These are beautiful! I love your customized design. Looks fabulous on you too!!! YOUR SHIRTS ARE AWESOME!!! Send me one!